Interest in Indian religion and comparative philosophy has increased in recent years, but despite this the study of Jaina philosophy is still in its infancy. This book looks at the role of philosophy in Jaina tradition, and its significance within the general developments in Indian philosophy. Bringing together chapters by philologists, historians and philosophers, the book focuses on karman theory, the theory of conditional predication, epistemology and the debates of Jaina philosophers with representatives of competing traditions, such as Ājīvika, Buddhist and Hindu. 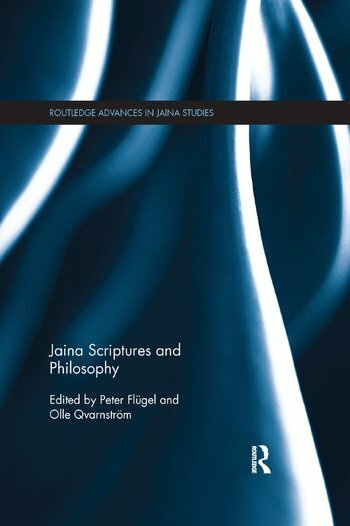 It analyses the relationship between religion and philosophy in Jaina scriptures, both Digambara and Śvetāmbara, and will be of interest to scholars and students of South Asian Religion, Philosophy, and Philology. Peter Flügel is Chair of the Centre of Jaina Studies at the School of Oriental and African Studies, University of London, UK. He is the series editor for the Routledge Advances in Jaina Studies series. Olle Qvarnström is Professor of History of Religion at Lund University, Sweden.